Rubble stones are very popular either installed as a dry stack or installed with a more formal appearance using a mortar joint. Rubble style stones typically look best when installed on larger surface areas. These stones maybe ordered in any color and are not limited in color selection to the colors displayed in this section. 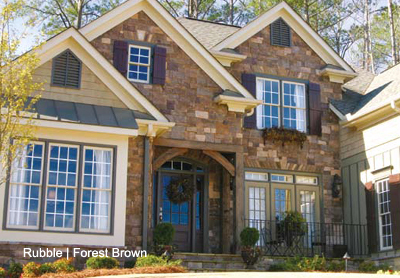 Rubble stones should be ordered by square footage needed, allowing for 8% for waste.